Iraqi Oil Supply Exploding | Energy and Gold Ltd.
Iraqi oil production has absolutely exploded during the last 6 months to now more than 4 million barrels of oil per day. This is occurring even as ISIS continues to conduct its insurgency throughout much of the country. 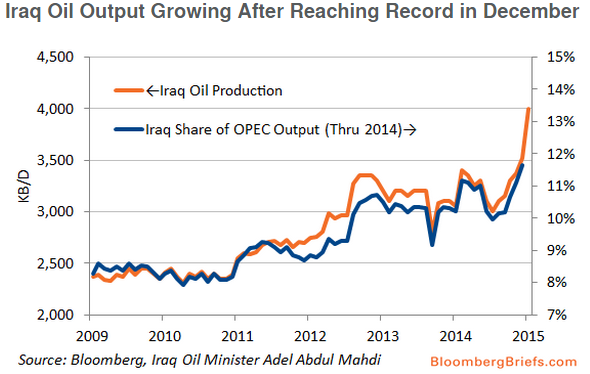 Moreover, Iraq plans to continue to boost exports of its crude oil.